While flying in England, a pilot attempting to land loses control of his machine, which crashes to the ground from a height of about one hundred fifty feet, and bursts into flames. Flight Sergeants Albert Edgar Warne and Horace Cannon (Royal Flying Corps) go to the rescue of the pilot at great personal risk, as one tank of petrol blows up and another is on fire; moreover, the machine is equipped with a belt of live cartridges, which they drag out of the flames. They manage to extricate the pilot, who is strapped to the burning plane, but he dies shortly afterwards of his injuries and burns. Both sergeants will be awarded the Albert Medal for their efforts. In another accident in England Lieutenant Rupert Ernest Neve (Royal Flying Corps) is accidentally killed when he falls from his plane near London at age 24. He is the son of Alfred H Neve JP. The Cunard liner Andania leaves Liverpool for New York, with only forty passengers on board, along with a crew of approximately two hundred. HMS PC-62 rams and sinks the German submarine U-84 in St George’s Channel. The destroyer HMS Leven depth charges and sinks the German submarine UB-35 north of Calais. 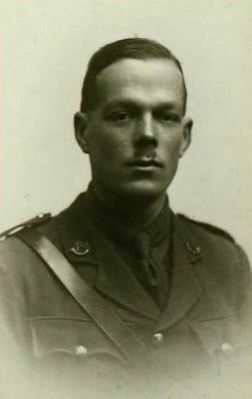 Chaplain Arnold John Bennett MC (Royal Army Medical Corps) dies on active service in Egypt at age 34.